Did you know that e.l.f. stands for eyes lips face? Do you even care? Well, I did/do so that's why I passed it onto you. ANYWAY, in a world where you can spend upwards of $40 on a MERE PRIMER - I always applaud the day when someone turns me onto a product that's actually quite useful and not a billion dollars. 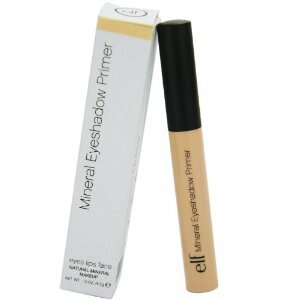 If you ever wear eyeshadow, please buy this primer. Not only is it amazing, but it's three dollars. Three dollars and it lasts about six months with casual usage. And I, in no way, fully support all e.l.f. products (my favourites so far are this primer and their lip exfoliator), since their "blushes" are a little cake-y and scream fifth-grade-play to me.